Wow Mona, this is a great painting. Wonderful use of color. Congratulations on the sale too! Greta, thank you very much for the feature in the MAGIC OF FLOWERS group! Mona, Your gorgeous iris painting is now prominently featured in the Iris theme of "the Magic of Flowers'. Enjoy! Thank you very much Genevieve! Jose, thank you very much for the feature in the ANYTHING VAN GOGHS group! Greta, thank you so much for the feature in THE MAGIC OF FLOWERS! Thank you very much Corey! 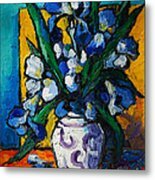 Beautiful work on the irises in a vase, Emona! Thank you very much Belinda! Wonderful, wonderful, wonderful! Color, style, comp. F/V and a fave! thank you very much Hedwig! Emona...How masterfully you painted it ...Colors Texture Feeling..! 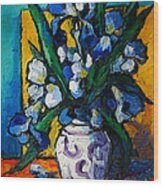 Sylvia, thank you very much for the feature in 3 a day greeting cards! Wow, this is dazzling. Such a powerful composition and use of color. Great paint handling as always Emona!! LF!! Beautiful! Love your bold use of color, style and texture! Thank you very much Tanielle! 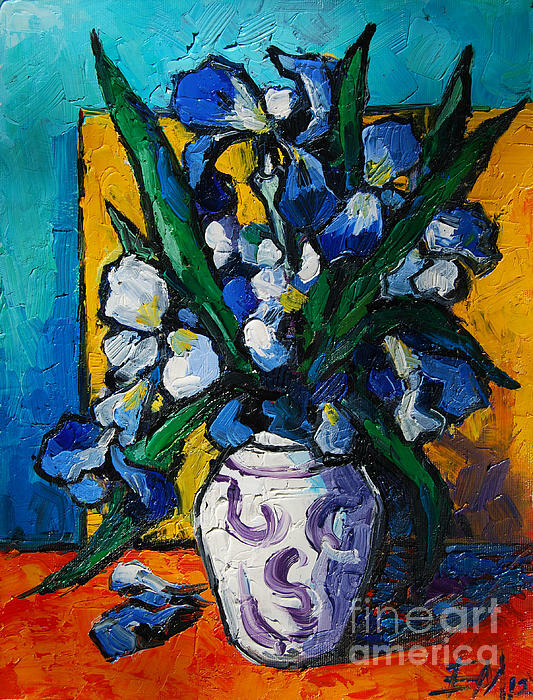 Enjoy reviewing your gorgeous still life, Mona! F/V!! I love your bold colors and was throughly delighted visiting your site! Thank you very much, Delores! Oil on canvas/10,6 x 13,7 inches.